In order to show more election results, some of the contests have been printed on the back. 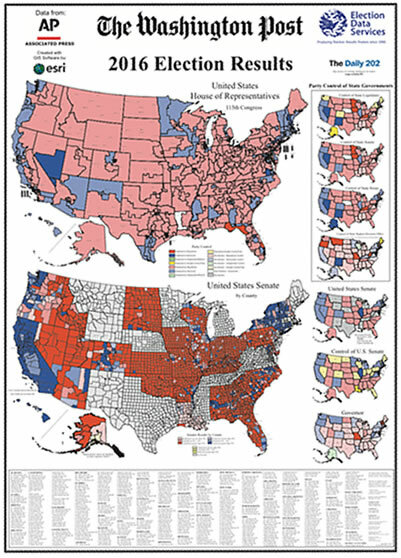 If you have the wall space, now is the time to get two copies of our 2016 Election Results Poster for the price of only 1.5 maps. Flat version Individual posters are 43” high x 30.5” wide.